As technical professionals, our success and effectiveness is usually limited by our inability to work well with others and influence others. In our different roles, our success depends on working with others, leading a team successfully or working on cross functional teams. The traditional, autocratic methods of leading do not work. In this workshop we will discuss 10 practical steps to motivate and engage others: followers, team mates and internal customers for results. Implementing these strategies will enable you to lead your team from a place of respect and influence and not manipulation, force or position. As a result you will be able to successfully complete projects, grow your company culture, and impact results. 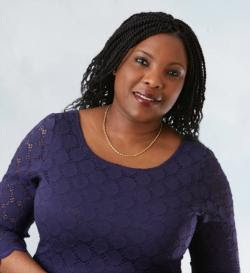 Kemi Sorinmade is the owner of the Growth studio, a performance improvement and leadership development firm based in Massachusetts. She is also a certified leadership development coach with the John Maxwell team and she works with science, technology and engineering professionals to equip them with strategies to solve challenging problems, improve employee engagement, and increase their effectiveness so that they can grow their profits and remain competitive. With over 20 years of combined experience as an engineer, entrepreneur and project manager, she brings a wealth of knowledge and a unique perspective to her audiences. Kemi graduated from Northeastern University with a Degree in Chemical Engineering and a Masters Degree in Engineering Management. EMC2 is a global leader in enabling businesses and service providers to transform their operations and deliver information technology as a service (ITaaS). Fundamental to this transformation is cloud computing. Through innovative products and services, EMC accelerates the journey to cloud computing, helping IT departments to store, manage, protect and analyze their most valuable asset - information - in a more agile, trusted and cost-efficient way. EMC ranks 139 in the Fortune 500 and had reported revenues of $21.7 billion in 2012, the largest revenue year in EMC's 34-year history. We work with organizations around the world, in every industry, in the public and private sectors, and of every size, from startups to the Fortune Global 500. Our customers include global money center banks and other leading financial services firms, manufacturers, healthcare and life sciences organizations, Internet service and telecommunications providers, airlines and transportation companies, educational institutions, and public-sector agencies. EMC employs approximately 60,000 people worldwide. We are represented by approximately 400 sales offices and scores of partners in 86 countries around the world. More information can be found at www.emc.com. EMC values an inclusive work environment where every employee is encouraged to share their ideas and talents so we can leverage our diversity. Promoting and leveraging diversity at a grass-roots level, EMC has a number of employee circles-groups organized and run by employees themselves. Supported and funded by our leadership team, these affinity groups provide employees the opportunity to participate and self-lead by arranging social, educational, and philanthropic programs for their colleagues. Additionally, the circles allow employees to share their personal experiences and collective talents, while offering the benefits of career development, retention, and productivity improvement. EMC's Women's Leadership Forum (WLF) employee circle was created more than 11 years ago and now has thousands of members worldwide. In April 2009, EMC published a book called The Working Mother Experience which contains nearly 100 real stories, written by EMC women (and one man) from around the world, that provide candid perspectives on being working mothers in a fast-paced business environment. If you're interested, you can read the book online or order a copy from our website (http://www.emc.com/collateral/about/jobs/pdf/h4470-working-mother-bk2.pdf).